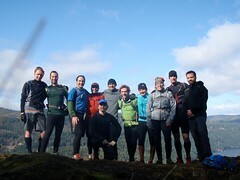 I got out to Thetis early on Sunday morning and started running laps just after 4am. Things were going along swimmingly for the first seven laps, times were consistent, I was hydrating and fueling well and feeling really good. 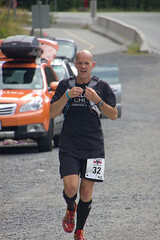 But that changed as I came into the little aid station I had set up after my seventh lap – my drop bag with all my supplies was missing : ( I wandered a bit looking to see if whomever had taken the bag maybe trashed it or just moved it but it was nowhere to be found. Someone had walked off with a mother-load of shot blocs, gels, some pre-mixed nuun/malto concoction, both of my headlamps, some leukotape, a few Advil and salt pills, a sweet pair of smart wool socks plus some other miscellaneous stuff. I had enough supplies on my back to get in one more lap, maybe two if I stretched it, but decided to end the early laps, head out for some food and then return for the Relay later. I got some food but started to get a chill and the shivers arrived so instead of heading back for the Relay I called it a day and headed home for a hot shower and some time in front of the fire. I was initially pretty bummed about the drop bag going for a walk but in the end it’s just stuff and can all be replaced… I’m going with the thought that whomever took it needed the stuff more than I did? November seems to be my month of nostalgia. With the Marine Corps’ Birthday on November 10th and Remembrance Day on November 11th it tends to bring on two full days of reminiscing about my experiences in the United States Marine Corps. This year it seems to be hitting a bit more significantly as it is the 20th anniversary of my separation from active duty in the United States Marine Corps. 20 years… Wow! It doesn’t feel that long ago? 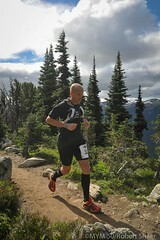 I participated in MEC Victoria’s second organized race yesterday. There were two course options a 5k or a 10k and for a first year, pretty low-key race the numbers were decent, we had 63 participate in the 10k and 42 in the 5k. 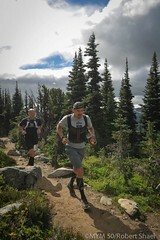 The routes were run on the Galloping Goose both were out and backs, the 5k had a small loop up the Burnside Road area for the turn around and the 10k looped around Swan Lake. Can’t commend the RD, Katie Wills, enough for all the work she’s putting in to getting the MEC Victoria race series off the ground and I’m looking forward to seeing it evolve in the years to come! I ran the 5k route and finished in 18:58, which felt pretty good coming off the back of a 2+ hour run on Saturday around the Durrance Lake and Mount Work trails. It’s been awhile since I’ve run a sub-19 5k and getting that time with the complete lack of any speed training I’ve done is definitely a good indicator of where the fitness is at… also a good indicator of where I can take the fitness to with some focused training. Can’t wait to see where things go once Seeg’s takes over planning my training! Cleaning out some documents and I found our ‘One Word Diary’ from the Gobi March…. a) The last one I did : ) I love to run! a) Not sure about this one? I have a tendency to clear/blow my nose while running – is that quirky? a) Any time I can get it! a) In the past 13 years there have only been a couple of instances when running outside was not an option for me and they would have been lunch time runs from work after a big snow and the roads had not been cleared and the sketchyness factor of others out weighed my desire to run through the mess. a) Thankfully (knock on wood) I’ve not experienced any serious injuries; have rolled my ankle a few times and have had some overuse injuries and a tweaked back but nothing that a little rest and recovery wouldn’t take care of. a) I don’t think I’ve ever felt like a ‘badass mother runner’? 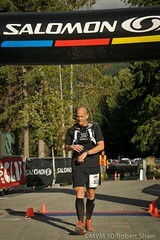 a) Most likely the 16th Annual Harriers Thetis Lake 20K Relay and then probably the Bear Mountain Half-Marathon. a) Lots of thoughts about potential races and ‘project’ runs… likely another 100 Miler, maybe another TCC, maybe the MdS or some other desert multi-day stage race… we’ll see? I truly love to run and I struggle with taking time off from it but I’ve committed myself to taking a full two weeks off from any sort of training to give my body a solid block of recovery. I’ve recently read a couple of posts about taking time off from training that eased my struggles. RunKeeper Blog | Taking a little time off from training won’t kill you!